What pests do you specialize in? So-Cal Pest Control in Santa Barbara was founded to serve residential and commercial property owners and specialized in the extermination of rats, mice, gophers, and moles. Over the years, we grew to be experts in ants and insect control as well as live animal trapping of pests like skunks, opossum and raccoons. We provide fast, effective pest control for the communities of Carpinteria, Montecito, Santa Barbara and Goleta. We are your full service pest control company. So-Cal Pest Control of Santa Barbara gopher and mole pest control services include getting rid of initial gopher and mole problems,gopher and mole mound removal,and ongoing preventative plans when needed. Our pest control services are superior to gardeners and other pest control companies due to our experience and licensing which allows us to use the most effective products in the industry. What areas do you provide pest control service? 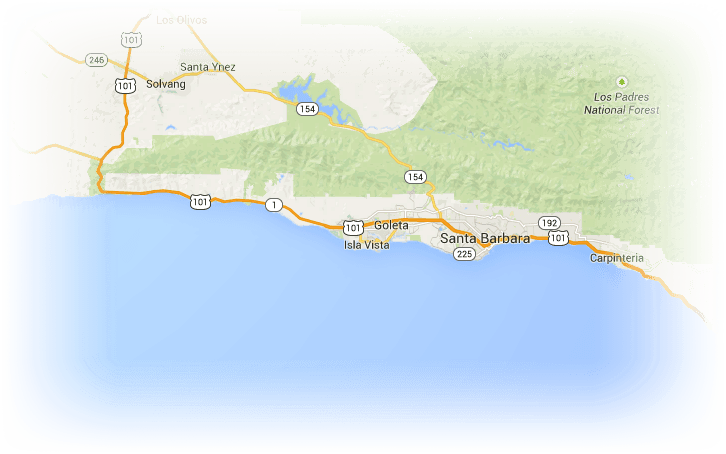 So-Cal Pest Control faithfully serves the Santa Barbara County area including Goleta, Carpenteria, Montecito, Gaviota and everything in between! What is the difference between a mole and a gopher? Moles and gophers both leave mounds but to the trained eye there is a difference. Gophers are known to pop their heads out of their holes exploring new territory to invade were moles prefer to always remain underground. Moles are insectivores, which means they are a type of carnivore with a diet that consists mostly of insects, earthworms and grubs. They travel 200-300 feet in a day and they commonly burrow just beneath the surface, leaving a raised ridge to mark their path. 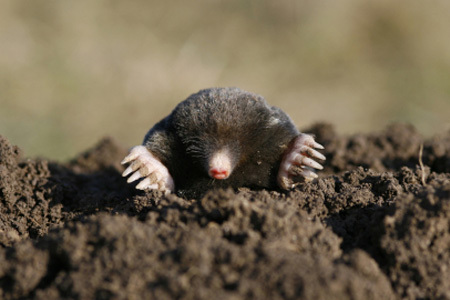 Unlike gophers, moles have very small or covered eyes. 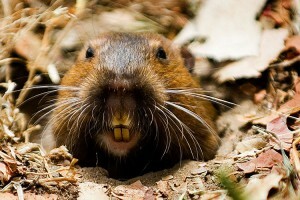 Gophers are herbivores, which means they eat entire small plants and flowers, root systems of bushes, trees, and plants. Gophers that eat the root system on trees will stunt the growth or kill those trees. 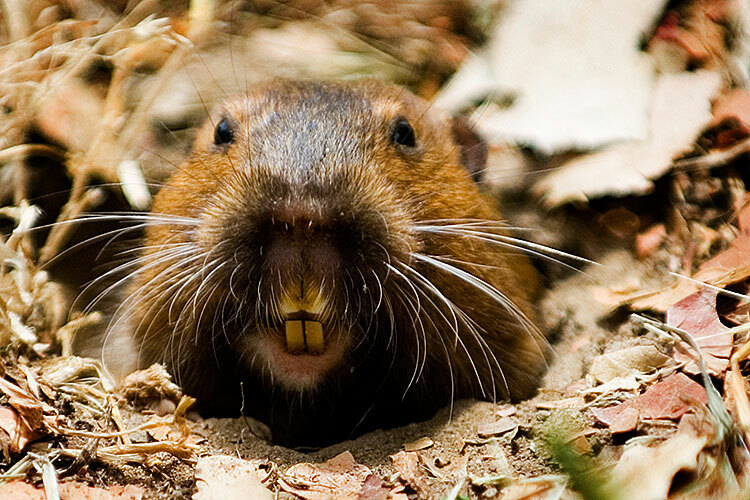 Unlike moles, Gophers usually stay within a few feet of their mounds. So-Cal Pest Control operates a professional pest control rat removal business in Santa Barbara, CA, where there’s a lot of rats. 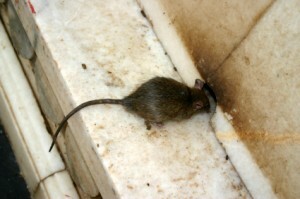 We have seen hundreds of cases, and we are experts on getting rid of rats. The first and most important principle to know about rodent pest control is that in order to completely and permanently solve the rat problem, you must stop any rats from getting inside the house in the first place. They’re getting in somehow – they can use a lot of different entry points and this is what So-Cal Pest Control is better than it’s competitors on, locating entry points. With our experience in rat pest control and knowledge of building architecture and how rats use it, we can solve your rat and mouse problem. We perform a very detailed inspection of the house or building, and find these entry points that rats are using to get in. Once we’ve found everything, we seal it all up. Our quality of repair work is far superior to our competitors. This is by far the most important step. Once this is done, then it’s just a simple matter of us scheduling follow-up visits for trapping and removing the remaining rats, which is easy once they can’t get outside for food and water. It’s also important to trap and remove the rats correctly. Some customers will set a few traps before calling us and end up having the traps go off but not trap the rat. This can cause rats and mice to become trap shy and now the rats will become much more difficult to catch. We advise not attempting to set traps yourselves. Poison in a attic or under a house is a horrible idea, as it leaves rat carcasses in the attic and walls, decomposing and giving off a terrible odor. Yes it is true that it thins their blood and makes them thirsty but it does not mean that they will leave the structure in search of water. Almost all of the calls that we get about rats or mice dead in a wall or crawl space and is now stinking up the place comes from homeowners placing poison inside the structure. As rodents pass through areas and enter structures they leave behind hormones. Even after the entry points are sealed these hormones are still active. These hormones attract new foraging rodents back to the same entry point sights of the original rodents. If nothing is done to control these foraging exterior rodents,then it is only a matter of time before new entry points are created. So it is important that we take our final necessary measure to keep your structure protected. So-Cal Pest Control offers a service were we will install and maintain exterior bait stations for rodent control and prevention. A barrier of bait stations are placed around the structure to intercept rodent pathways.These bait stations are tamper proof. Rodents will feed on the rodenticide that is secured in a lock and key system keeping it safe for children and pets.This service keeps rodent populations under control and prevents rodent infestations.